A Cardiff mother whose husband and young son died tragically two years ago is bringing her ‘Fraser Bear’ to life through an animation that is to be screened in schools across Wales, encouraging families to talk about organ donation. Anna-Louise Bates set up the Believe: Organ Donation Support charity after her husband Stuart and seven-year-old son Fraser were fatally struck by a car in December 2015. She has been working with Mike Young, the Welshman and prolific animation producer behind iconic 80s children’s show, ‘SuperTed’, and the more recent ‘Norm of the North’, to create an animated film to help spread the charity’s message. The short film, scripted by Anna-Louise and voiced by two local Cardiff schoolchildren in English and Welsh, shows an animated version of the Believe charity mascot, ‘Fraser Bear’ – the nickname Anna-Louise and Stuart had given to their son – explaining how his organs have gone on to save the lives of four people. The charity’s aim is for the animated film to be made available as a teaching resource to all primary schools in Wales, in an attempt to de-stigmatise the subject of organ donation and get young children and their families talking about it. Wales was the first of the UK nations to introduce an opt-out system for organ donation in December 2015, just weeks before the Bates family’s accident. This had prompted Stuart and Anna-Louise to discuss their own views on organ donation for the first time, meaning that when the tragedy happened, she knew exactly what his wishes would have been and did not have to think twice. As Anna-Louise explains: “This is an extremely emotional project for me. Since losing Fraser and Stuart, I’ve been campaigning to promote the importance of organ donation to ensure something positive comes out of our family’s suffering. 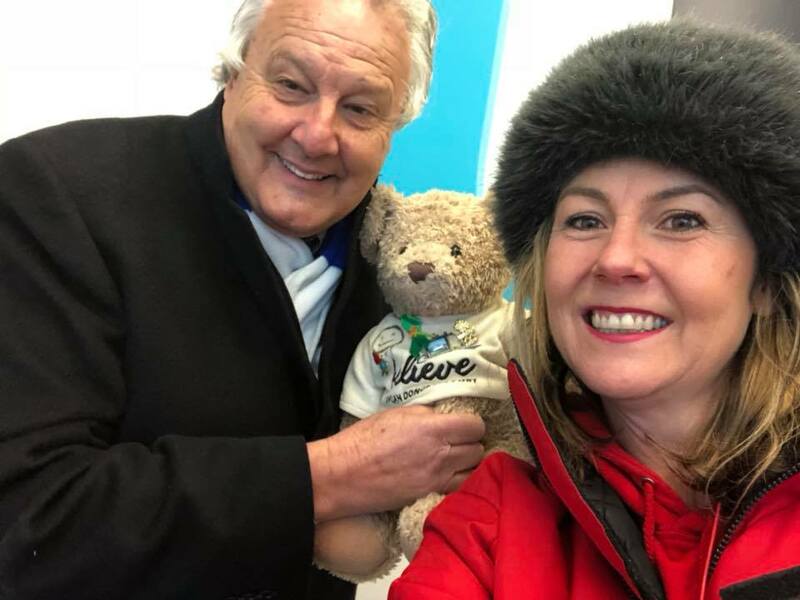 “I’m hopeful that the ‘Fraser Bear’ animation will help provide teachers with the tools to educate children on organ donation, to help the next generation feel less stigma when discussing the topic. Mike has done a fantastic job creating this animation and we’re extremely thankful for his support. Emmy and BAFTA award-winning Mike Young, who now lives in LA, is the co-founder and CEO of Splash Entertainment, which produces the feature film ‘Norm of the North’ and Netflix’s ‘Kulipari’. Young said he felt honoured to have been asked to create this film for the charity. Welsh and English versions of the animation have been produced and are available to view on the Believe You Tube channel. The English version has been voiced by 13-year-old Llanishen High pupil, Dylan Newland, who was one of 100 high school pupils from across Cardiff to have auditioned for the role. 12-year-old Madog Hammond from Ysgol Gyfun Gymraeg Plasmawr has also voiced the Welsh language version. Llanishen High is just one of five schools across Wales that have already expressed an interest in screening the animation for their pupils. Deputy head teacher, Rob Wilson added: “As a previous Head Girl of Llanishen High School, Anna has always had a close connection to the school so after her tragic loss it was only natural that we should get involved with promoting and educating students about the issue of organ donation. “Her connection has now become even stronger as one of our students, Dylan, was selected as the voice of ‘Fraser Bear’ in the animation. Our school is committed to using the short film to spread the message of organ donation to everyone in our school community. Emmy and BAFTA award winning animation producer Mike Young now serves as co-founder and CEO of the independent entertainment studio Splash Entertainment in Los Angeles. Splash Entertainment is the home of feature film “Norm of the North” and its two sequels currently in production, in addition to the animated version of Mariah Carey’s “All I Want For Christmas is You,” and seasons 1 and 2 of “Kulipari,” now available on Netflix.